Further increasing Kinsta’s global reach, we are excited to announce that the data center in Hamina, Finland (europe-north1) is now available for hosting your WordPress sites. Earlier this year we added Montreal and the Netherlands. Kinsta now has 16 Google Cloud data centers you can choose from, allowing you to place your website in a geographical location closest to your visitors. This ensures better data privacy, low latency, and blazing fast load times. ? According to Internet World Stats, Finland has over 5.5 million internet users and is known as one of the most stable, safest, and highly-developed countries in the world. Google has stated that this new region can improve latencies by up to 65% for end-users in the Nordics and by 88% for end-users in Eastern Europe. Previously the two closest available data centers were in Germany and the Netherlands. But don’t take our word for it, you can use GCP Ping to see for yourself how fast the Finland region is from your location. 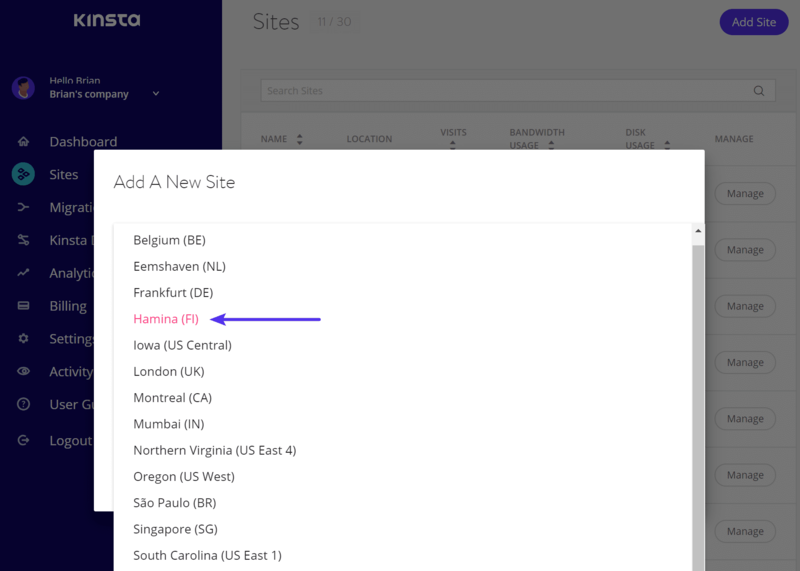 And don’t forget, the Kinsta CDN has locations in both Sweden and Norway. So we’ve got you covered! The data center in Finland was actually converted from an old paper mill in Hamina. It now utilizes a high-tech cooling system, which uses sea water from the Bay of Finland, reducing energy use, and was the first of its kind anywhere in the world. The facility is now one of Google’s most advanced and efficient data centers. This new location is now available from within the MyKinsta dashboard when you go to add a site: Hamina (FI). If you’re concerned with data privacy, EEA, or GDPR regulations, not to worry. Being a European company ourselves, we take data privacy very seriously and utilize Google Cloud Platform’s encryption at rest. 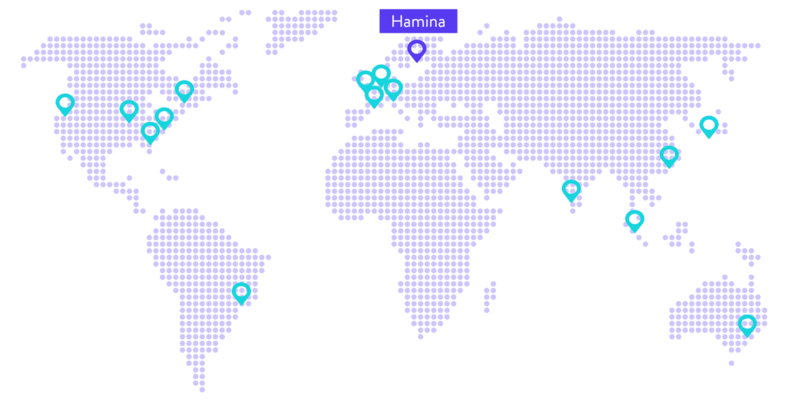 If you choose the Hamina data center, no data is ever hosted outside of Finland. By design, any add-ons or features that do transmit data outside of the country are optional and not enabled by default.